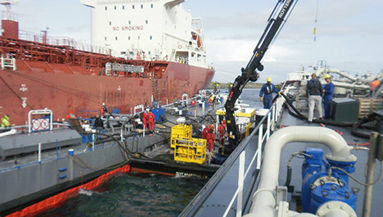 We operate effectively on matters from small cargo damages to, for instance, complex incidents on chemical tankers or massive container stowage collapse on multi-purpose ships. Each investigation into the nature, extent and cause of damage and/or problem is structured systematically in order to establish the crucial details which need to be fully analysed to bring the matter to the right conclusion. Our findings and recommendations are continuously communicated in clear reports. As from the moment of instruction we take adequate action, look after all aspects and make an inventory of the whole matter. We make the necessary arrangements and give advice as to what measures are to be taken in the various stages of the case. This provides principals with the information required to control the matter continuously. First findings are reported in writing within 24 hours after the moment of instruction, followed by regular updates. The (interim) report will be issued as quickly as possible. We are organised efficiently, ensuring that our costs are low. This allows us to maintain competitive rates, which you recognize in the detailed costs specification supporting all our invoices. It is our objective to provide principals with top quality services. We are available 24 hours a day, seven days a week, 365 days a year. During out of office hours you can reach us by dialling the office telephone number and you will automatically be connected to the person on duty.